Governmental meeting between China and Taiwan to take place in February after six decades. China and Taiwan officials set a date for talks next month [February 2014], the United Daily News reported today, paving the way for the first official government-to-government meetings since a civil war six decades ago. President Ma Ying-Jeou, speaking on an official visit to Honduras, said the meeting is an “inevitable” step in cross-strait relations, the Central News Agency reported yesterday [26 January 2014]. A Nanjing meeting would be the latest sign of reconciliation in a relationship that saw the mainland fire missiles into the stretch of water between them in 1996 before Taiwan’s first democratic presidential election. Ma’s presidency, which began in 2008, ushered in warmer ties as he moved away from the independence-leaning policies of his predecessor, Chen Shui-bian. Wang, Taiwan’s Mainland Affairs Council minister, declined to comment when contacted by telephone today [27 January 2014]. He is scheduled to give an annual media briefing tomorrow ahead of the Lunar New Year. The ruling Kuomintang Party said earlier in December  that Wang was planning to meet his China counterpart in February . At the Nanjing meetings, Wang and Zhang of China’s Taiwan Affairs Office will discuss topics including the establishment of cross-strait representative offices, access for each side’s news media, and cross-strait economic restructuring, according to United Daily News. Wang and Zhang “interacted” in October  at the Asia-Pacific Economic Cooperation summit in Bali, Indonesia, and addressed one another by their formal titles, according to the Taipei Times. Chinese President Xi Jinping said at the summit that China and Taiwan should avoid passing on their political impasse from one generation to the next. The meeting would be a departure from previous practice of contact through non-governmental organizations. In 1993, Taiwan’s Straits Exchange Foundation and China’s Association for Relations Across the Taiwan Straits held the first public meeting since 1949. Other non-government representatives, such as then-Chairman of the Nationalist party, Lien Chan, and former Taiwan Vice President Vincent Siew, have met with Chinese presidents. The Communist Party and the Kuomintang have never reached a formal peace agreement ending their conflict. 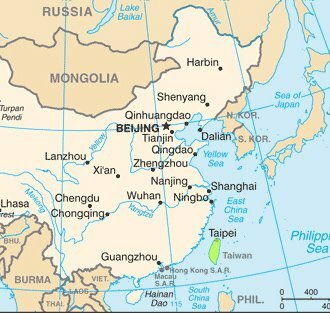 China, which considers Taiwan part of its territory, has said it will take the island by force if necessary. Taiwan’s Ministry of National Defense said in an October  report that China could mount a successful invasion of Taiwan by 2020. “Beijing certainly is eager for this kind of meeting because Beijing hopes to have some kind of political dialog leading to formal peace agreement,” said Cheng of the City University of Hong Kong.